The Harper government is quietly seizing greater control of the Canadian Broadcasting Corporation, while a public advocacy group accuses the Tories of stacking the CBC’s board with political allies. Bill C-60, the Tories’ budget implementation bill, includes a clause that allows the prime minister’s cabinet to approve salaries, working conditions and collective bargaining positions for the CBC, The Hill Times reports. The move, buried at the back of the 111-page bill, “appears to contradict a longstanding arm’s-length relationship between the independent CBC and any government in power,” the newspaper said. The CBC would now be required to get approval from Prime Minister Stephen Harper’s Treasury Board Committee for any collective bargaining agreement the broadcaster reaches with its employees. The Treasury Board would also have the power to approve or deny pay and benefits for non-unionized employees. 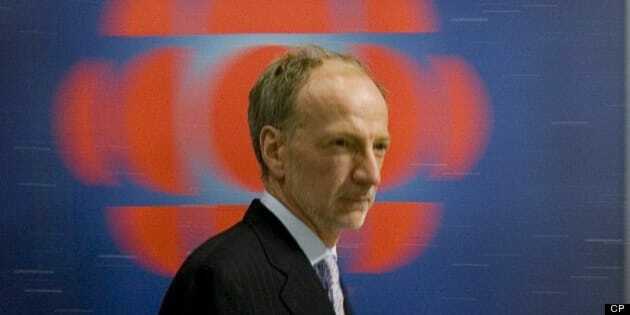 Citing data from Elections Canada, Friends said eight of the board’s 11 current members have donated to the Conservative Party of Canada, which the group saw as a sign the government has taken greater control of the CBC. The new powers over CBC pay and the heavy presence of Conservative Party donors “will further undermine the CBC’s independence from government,” Friends said. According to the CBC’s website, all current members of the broadcaster's board began serving since the Conservatives took power in 2006. The budget bill would also extend the same powers over the CBC to three other cultural and scientific agencies: the Canada Council for the Arts, the International Development Research Centre and the National Arts Centre in Ottawa. Liberal MP Scott Brison told The Hill Times he was surprised the government would go this far in compromising the independence of the CBC and the three other institutions. The CBC’s public mandate has long been questioned in conservative circles, with many criticizing the network for taking taxpayers’ money while competing with private-sector broadcasters for advertising revenue. Sun News Network has famously championed the cause, as has its parent company, Quebecor, whose CEO, Pierre-Karl Peladeau, has attacked CBC’s $1 billion in public subsidies in 2011. The CBC fought back, putting out statements declaring that Quebecor had itself received $500 million in various forms of subsidies from the government in the prior three years. Quebecor demanded the CBC remove the “defamatory” material, but the broadcaster refused. Most recently, conservative bloggers attacked the CBC over allegations the network was running Liberal Party ads featuring Justin Trudeau while refusing to run Tory attack ads. Some pointed to statements from the CBC that it only airs political ads during elections. But, as The Huffington Post Canada previously reported, the CBC changed its policy on that in 2009, and now allows political ads during non-election periods. According to the CBC, the Conservative Party has not approached the network yet to run its current negative ad against Justin Trudeau. CORRECTION:An earlier version of this story misstated the amount of money the CBC said Quebecor had received in government subsidies. The Huffintgon Post regrets the error.